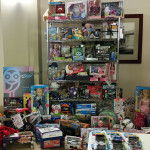 cStor and NetApp came together to host a casino & poker night to raise funds to support the Toys for Tots foundation. cStor and NetApp hosted their third annual casino night and poker tournament on Tuesday, December 3rd. All proceeds raised from the event support the purchase of toys for the Toys for Tots foundation. 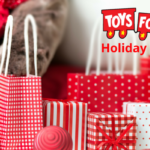 The Toys for Tots Foundation then distributes the toys to less fortunate children in the community. cStor and their partners, including NetApp, started the event as a way to give back during the holiday season while having a little fun. Last year the group donated a total of 85 toys, all valued over $25, including bikes, large toys and other children’s items valued; the total was valued at $3500. cStor helps companies strategize, create, and implement data center solutions that address business needs. Now more than ever, innovative clients know that IT can be a highly-impactful enabler of business transformation, cost reduction, and competitive advantage. cStor’s proven capabilities with key data center technologies provides clients with a fresh perspective, the ability to collaborate with recognized data center experts, and the confidence that goals will be met. cStor’s team dedicates significant amounts of time and energy to be proficient in data center technologies. Hundreds of clients understand this value proposition—they know a focused, collaborative relationship with a creative, knowledgeable partner delivers superior results. Custom Storage specializes in architecting and implementing complex information management solutions designed to leverage virtualization and reduce costs while providing high availability, application performance improvements and improved data protection techniques. Custom Storage is privately held and is headquartered in Scottsdale, AZ. To learn more about Custom Storage and the Imagine Virtually Anything Alliance between Cisco, NetApp and VMware, call (480) 760-2100. Visit Custom Storage online at www.customstorage.com. 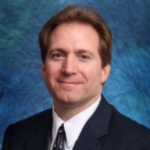 Larry Gentry is responsible for ensuring cStor provides its customers with innovative data center and cloud solutions for the healthcare, manufacturing, government, education, retail, insurance, utility and other industries. His business acumen and management expertise stem from years of senior level leadership and high-tech management experience with companies such as Kroger, Kohl’s department stores and Shopko. Larry attended Lewis and Clark College along with Mt. Hood Community College prior to beginning his management career and holds multiple industry certifications. Larry has been a member of the board of directors for the Desert Southwest Chapter of the Alzheimer’s Association since 2009, where he currently serves as Vice-Chairman.